Las Vegas-based Scientific Games’ four core business divisions gained ground in the company’s second quarter, shrinking losses after the company’s 11th straight quarter of year-over-year revenue and adjusted cash flow growth. Scientific, which earlier this week signed a partnership agreement with Caesars Entertainment Corp. to provide sports wagering technology through its OpenBet platform in New Jersey and Mississippi, saw improved results in its gaming, lottery, social and digital divisions. But investors reacted negatively. Analysts had projected higher revenue and earnings, the fourth straight quarter the company missed expectations. Scientific shares fell $6.25, 13.7 percent, to $39.55 a share on Thursday on volume more than five times the daily average. Addressing investors for the first time as Scientific’s president and CEO Thursday, Barry Cottle said the company is positioned to play a significant role in U.S. sports wagering. “The U.S. Supreme Court decision repealing PASPA (the Professional and Amateur Sports Protection Act) was a watershed moment for our industry opening up one of the largest untapped gaming markets in the world,” Cottle said. Cottle said OpenBet accommodated 177 million wagers during the World Cup in the United Kingdom. “It’s a platform that won’t fall down during the Super Bowl,” he said. During the quarter, the company also began the rollout of its James Bond-themed slot machines — expected to be a big seller for the company — in New Jersey and at tribal casinos in Florida. For the quarter that ended June 30, Scientific reported a loss of $5.8 million, 6 cents a share, on revenue of $844.7 million, compared with a loss of $39.1 million, 43 cents a share, on $766.3 million in revenue a year earlier. The Eilers-Fantini quarterly slot survey issued last month by California-based research analyst Eilers & Krejcik Gaming held Scientific Games in high esteem. 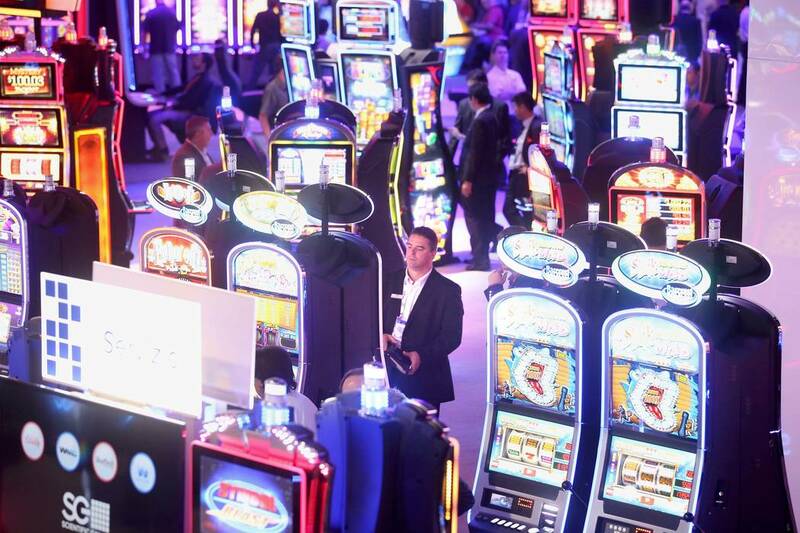 The report, which surveyed 35 casino companies, said the highest percentage of machines, 26.6 percent, were acquired from Scientific during the quarter. Scientific, Aristocrat Technologies Inc. and IGT paced the list of vendors for the quarter for slot sales.